Pioneer Law Group, LLP is proud to serve on the board of directors of Solar Cookers International through Jeffrey K. Dorso. Solar Cookers International has distributed or inspired 500,000 plus solar cookers conducting projects in Kenya, Haiti, Zimbabwe, and Tanzania, and advised and assisted hundreds of NGOs worldwide. There are currently more than 300 NGOs and individuals working together to bring the promise of solar cooking to those in need. Additionally, SCI developed the Water Pasteurization Indicator, a cheap, reusable thermometer that indicates when water has been made safe to drink. 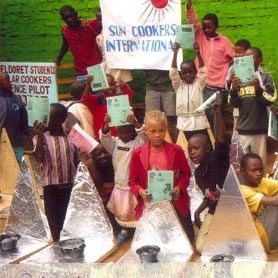 Solar Cookers International (SCI) spreads solar cooking awareness and skills worldwide, particularly in areas with plentiful sunshine and diminishing sources of cooking fuel. Since its founding in 1987, SCI has enabled over 30,000 families in Africa to cook with the sun's energy, freeing women and children from the burdens of gathering firewood and carrying it for miles. 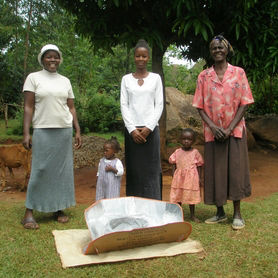 Tens of thousands of individuals and organizations — from all over the world — have learned about solar cooking through SCI’s excellent publications and have benefited from SCI’s information exchange networks, research, technical support, and the SCI sponsored, internationally recognized Internet resource for solar cooking information: the Solar Cooking World Network wiki based website. Additionally, SCI helps all solar cooker promoters through advocacy efforts with governments and nongovernmental organizations, and through its consultative status with the United Nations.